The number of people filing first-time employment insurance claims in Canada has jumped to its highest level since the global financial crisis, suggesting the economic slowdown in the first half of this year is having an effect on the nationwide job market. 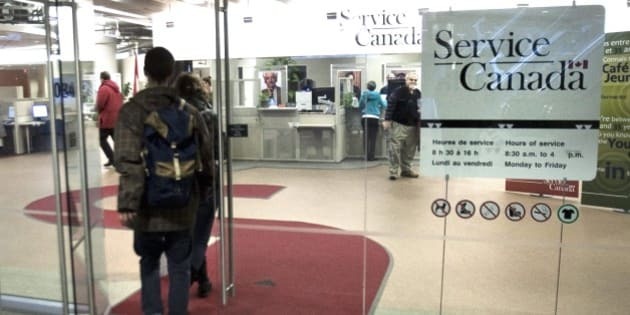 There were 266,000 initial claims for EI coverage in June, the highest number since August, 2009, when the country was being rocked by the global financial crisis, according to data released Thursday by Statistics Canada. That’s 5.1 per cent higher than initial claims a year earlier. In all, there were 531,700 people collecting EI in June, up 4 per cent from a year earlier. The number of EI beneficiaries had been falling for years following the financial crisis of 2008-09, but that reversed itself at the end of last year, and the number of people on EI payrolls has been growing ever since. StatsCan’s labour force survey for June showed employment virtually unchanged that month, with gains in full-time jobs being offset by losses in part-time jobs. The unemployment rate stayed steady at 6.8 per cent. With the total number of jobs in Canada up 0.9 per cent over the past year, more or less in line with population growth, economists had pointed to the job numbers as a sign that Canada avoided recession, or at worst suffered only a “technical recession,” as a result of the oil price collapse. But the spike in claims “suggests that the weakness in Canadian GDP ... in the first half of 2015 is only showing up in the labor market at mid-year,” PNC Financial senior economist Bill Adams said in a client note. Still, Adams sees good news in some other data released Thursday, in particular wholesale trade numbers for June, which were up 3.6 per cent by value, and 1.5 per cent by volume, from the same month a year earlier. “Lower energy prices and a weaker Canadian loonie are boosting the manufacturing sector and redirecting Canadian consumer spending domestically, but at the cost of a sharp correction in the energy industry,” Adams wrote. Other economists still point to weaker-than-expected manufacturing numbers to suggest that the return to manufacturing hasn’t yet happened, but most agreed June's positive wholesale numbers are a good sign for the economy. The numbers “suggest that June will be a strong month for GDP,” CIBC economist Nick Exarhos wrote.